MagnaColours® spoke to Textile Designer Arantza Vilas from Pinaki Studios about the fascinating projects they’ve undertaken using MagnaPrint® inks and how their pieces have been worn by stars of television and the big screen. A project-based textile studio that navigates between and around the worlds of art and design, Pinaki Studios create fabrics and surfaces using a variety of materials and processes, often combining hand-made, traditional processes and new technologies. The studio takes a diverse approach that includes: highly abrasive techniques to distort weave constructions, screen printing, ancient artisan pleating processes, and digital technologies using a variety of substrates. 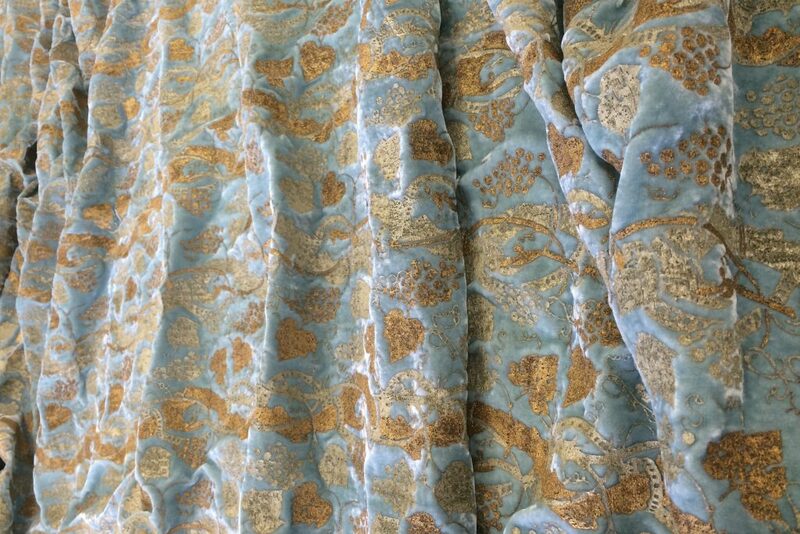 Pinaki has grown into an internationally renowned studio creating specialist textiles for a host of high-profile clients in the interiors, food and film industries, including TV networks HBO, the BBC, Starz and many international museums and galleries. They started used MagnaPrint® inks in their projects four years ago following a recommendation and have not looked back. Some of the products Pinaki regularly work with include MagnaPrint® Bling, Expanding NF and AquaFlex V2, whilst they recently used the new Emboss Ink to create interesting, pleated effects on polyester fabrics. One of the key inks they have used for projects is the Bling range and Arantza explained how they got the most out of our metallic effect ink as part of a costume design project for the Starz TV series The White Princess. 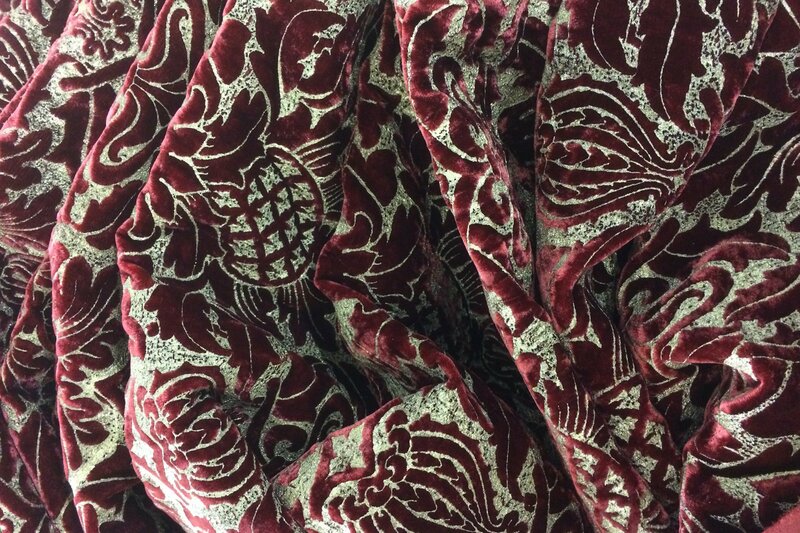 The luxurious printed effects are plain to see in these images of the costumes and fabrics featured on the program. Talking about recent and upcoming projects, Pinaki have now completed work for the sequel to The White Princess, “The Spanish Princess” which will be aired in 2019. Again, MagnaPrint® inks were used for the show and the studio worked mainly with Bling range to recreate printed fabrics that reinterpreted the velvets and woven cloths of the period. In January 2019, Mary Queen of Scots, a major film on which Pinaki Studios worked last year, will be released. A combination of MagnaPrint® opaque and universal binders were used to create printed borders on the Elizabethan skirts of Mary and other characters. Find out more about the wonderful work from Pinaki Studios here. Images courtesy of Pinaki Studios.